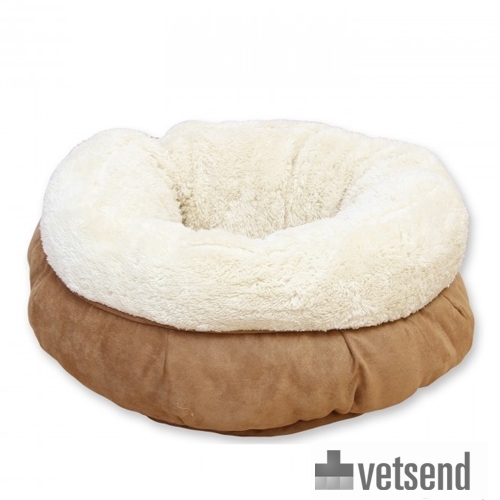 The Donut Bed from AFP is a soft cat bed in a donut shape. Your cat can dig himself into the deep-pile plush bed and sleep comfortably. All For Paws (AFP) specialises in designing unique and stylish products for dogs and cats. The team behind AFP makes products which meet the needs of the animals, as well as the different lifestyles of their owners. All For Paws describe their products as useful products with a story and a purpose. All For Paws products are available worldwide and of course at Vetsend.co.uk. The Donut Bed from AFP offers your cat a soft bed to crawl into. The top and inside of the cat basket is decorated with deep-pile plush, ensuring a soft bed for your cat. This cat bed can be hand-washed. Have you used AFP Donut Bed before? Let us know what you think about this product.